Best Coffee Maker with Grinder arguably the first thought on people’s minds when they wake up is “I need coffee!” It comes as no surprise, therefore, that Home Coffeemakers with an additional Grinder are so popular and will no doubt exist as a permanent, beloved feature in most kitchens for many years to come. So for many the addition of a coffee machine at home is nothing new – nevertheless, this has resulted in increasing interest in the process of making high-standard coffee from when the beans are grown to being purchased and ground. We’re no longer just satisfied seeing the fair-trade label, we want to know the coffees origin; how authentically and organically the coffee beans are grown and now – the option to grind the beans to our own particular taste. And in light of the fact that 40% of the coffees flavour is lost within minutes of grounding the beans, our drive to achieve the highest quality now means the value placed on coffeemakers, which include the additional grinder has definitely increased – hence you’re looking at this article. So before, we delve into the vast array of options, what are the benefits? 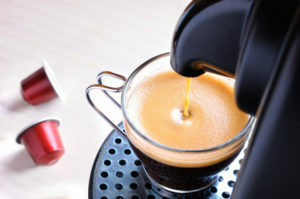 Quality – if the richness of flavour and pureness of taste are affected within minutes of even just grounding let alone brewing the coffee beans, having the option to ground your own coffee before brewing your favourite drink as and when you desire is essential if you’re looking for the best quality. Convenience – in our instant, ‘if not now, when?’ culture, the convenience of appliances accessible at home with the need to expel as little amount of effort as possible have become the norm – and with coffeemakers it is certainly no different. That Personal Touch – it’s not just so we can show off to the neighbours, coffee has become a thing of beauty; an artform, a choice request. And when you’ve decided to spend the at times surprising amount of money required for real quality on a machine for home-use, why wouldn’t you expect to be able to get that personal touch that even coffee shops can’t always offer?! Designed to help you make the most of your morning – you can’t go wrong with this Black & Decker Coffeemaker with built-in grinder. I like the fact the large print and clearly marked controls as well as back-lit display simplify the process and aid you in your pre-caffeine grogginess! If you’re more focused on function than flare, this conventional model, with a variety of colours available for you to choose from, will suit you perfectly! → Get the Black & Decker Brew Coffeemaker on Amazon! This incredibly simple yet fully efficient device will be a great little addition to any kitchen. 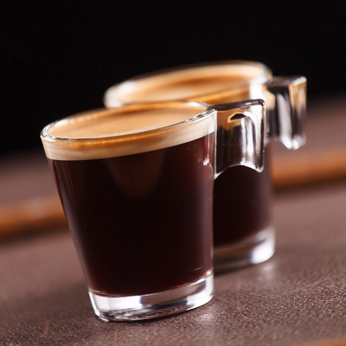 Don’t be put off by the overly simplistic and conservative design – you can rest assured Cuisinart have thought through all the details on how to make great tasting coffee. The charcoal filter is particularly noteworthy; removing any chlorine, bad tastes or odours for the purest flavour and with a great capacity of 12 cups, it’s perfect for when you have company. → Get the Cuisinart Grind-and-Brew 12-Cup Automatic Coffeemaker on Amazon! It doesn’t look like much, but this solid yet compact machine, with a powerful 60Hz function and variety of roast options meeting even the most experienced prosumer customized needs, demands your full attention and let’s be honest a significant amount of your monthly paycheck. Sophisticated, stylish yet simple and easy to operate; if you’re looking for the highest quality, this coffee grinder promises to deliver and the user-reviews only suggest it makes good on its promises. 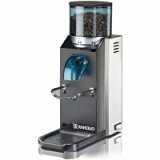 → Get the Rancilio Rocky Espresso Coffee Grinder on Amazon! With years of experience, the team at KRUPS has already done all the hardwork of understanding the science and now with this Espresseria Espresso Machine and Grinder, they simply allow you to enjoy the art of making the perfect cup of coffee in the comfort of your own home. Promising the best tasting coffee you could ask for within seconds, KRUPS make it their aim to limit the brewing-time in order to maximize the flavour with passion, precision and perfection. And with this price-tag why would you settle for anything less?! → Get the KRUPS Espresseria Automatic Espresso Machine Coffee Maker on Amazon! The aspect, which hits you immediately about this Coffeemaker with Conical Grinder is the options available: with strong, mild or regular brewing, either 2,4, 6, 8 or 10 cup capacity and five fineness settings from light to dark beans; you really are in control and can try out the various settings to your heart’s content to find the blend that suits you. I also like the fact the machine can be used with or without the grinder accommodating the option to used pre-ground, flavoured and decaf coffee. This machine would be ideal for someone looking to mix things up and try out something different, without the ridiculous price tag. → Get the Capresso Digital Coffeemaker on Amazon!